No-eyed fish and frogs that carry the eggs on the back are two of the various types of new species discovered in a cave in Papua. 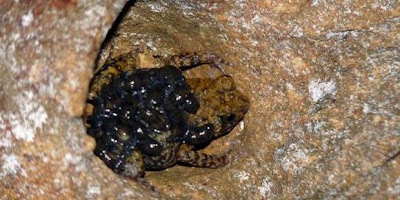 The team of researchers from the Institute of Research and Development (IRD) in Montpellier, France found it in a series of research expeditions in the caves, underground streams until Lengguru wilderness area, the southern region of Papua bird's neck. "In terms of finding new things, there are many things to be settled in the area, the area is very difficult to access but has an amazing biodiversity," said one scientist from IRD, Laurent Pouyaud, reported by AFP on Friday (26/11 / 2010). Scientists consisting of biologists, paleontologists and archaeologists trace the study area for seven weeks. The county said the land is a maze of chalk that allows the isolation of species that live experience for millions of years. Fish that do not have eyes and colorless because they do not have pigmentation (production of the pigment that determines skin color) that is found in one cave is the most amazing discovery. 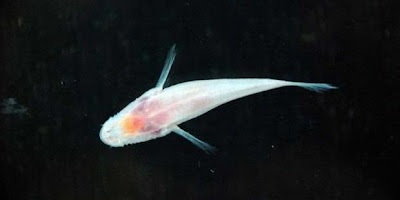 "Fish, to our knowledge, is the first cave fish species found in Papua," said Pauyaud. While biologists fascinated by the fish without eyes, the archaeologists also captivated by the findings of paintings on cave walls are made of shells fired appliance animals. These findings could be evidence of migration of Asians to Australia about 40,000 years ago. This study is the first step of a planned project will study the biodiversity of the territory of Indonesia. The research is a collaboration with the Ministry of Maritime Affairs and Fisheries college science. Pouyaud said, biodiversity in Papua itself now threatened by the planned expansion of plantations and mines.